1992, Nintendo made a mistake that haunts them to this day. They broke off their deal with Sony to make the Nintendo Play Station, a CD-Rom based console that would follow the Super Nintendo. 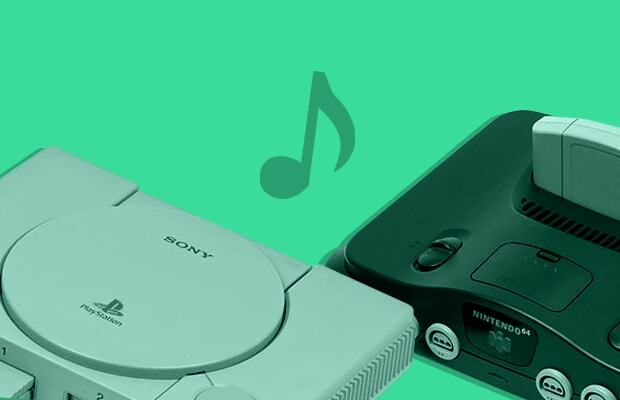 Instead,they went their separate ways - while Nintendo made the Nintendo 64, a cartridge based console with a strange, 3-pronged controller, Sony released the Playstation, a CD-based console that would set the industry standard for the next 15 years. The music from both systems showed increased complexity, with running motifs and a greater diversity of genres. Technological limitations were becoming less of a problem - instead of finding an electronic sound to mimic a violin, composers could use an actual violin to play their melodies. Some of the best video game songs came from this awkward era, when video games were going through growing pains,figuring out what they wanted to be. We're counting down the best of the best in Part III of our music series - the era when low framerates plagued us for the first time. Here are the top 20 songs from the 64-Bit / CD-Rom era.